How do you get the timestamp ID for notes in 1writer @ctiezte? 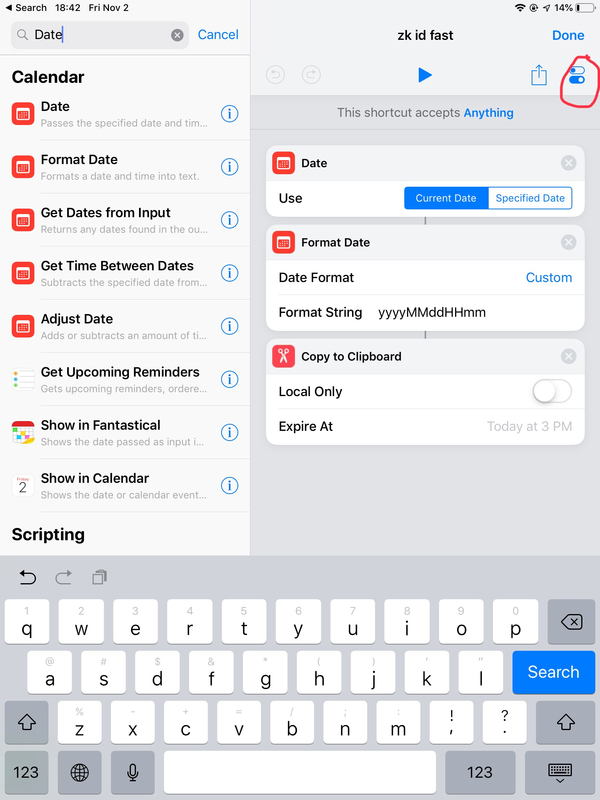 Do you have a textexpander on iOS? This is the main barrier for me using 1writer to access my zettelkasten on iPhone. The only workaround I've found is to go to 1Writer's settings and turn on Auto File Naming. Then, any time you make a new note, 1Writer will use your first line as the title. So I end up typing the timestamp and title (example: 201810251235 Example), hit enter to start a new line, then I'm good to go. It's not perfect, but it's the best solution I've found. There are actions in the 1writer directory which can add a zettelkasten ID. It’s a great combination with The Archive. I've been considering moving away from the archive because of the non-standard markdown links ([]). I've been using 1writer as well, and if The Archive wiki style links would work, I think I'd have the perfect setup. @achamess By "getting" the ID, do you mean copy it, or create it? I have an action in 1Writer to copy the current note's title. Creating notes with IDs I do in Drafts instead. I found it useful to have a separate drafting place so I can navigate through the archive, hunting for links, so I never bothered creating a Zettel naming template. @nickmilo22 Very nice find What were the other actions? I think I created a couple myself, but none related to Zettel names if I recall correctly. @elliott Send a feature request to the developer He's very responsive. (I requested this, too, by the way.) You can use hashtags to create connections, too. 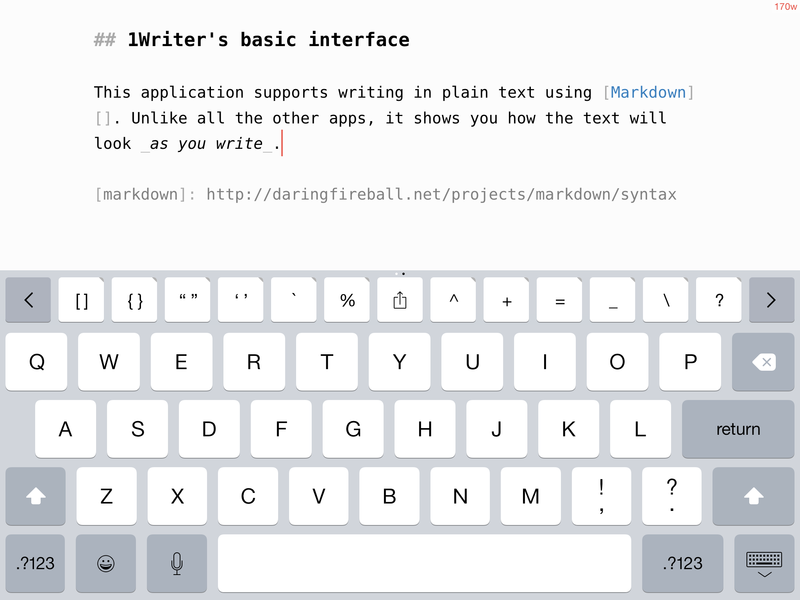 1Writer supports clicking on these, but they'll clutter your list of tags inside the app. @ctietze You have one I just found Copy Zettle Title that's pretty slick for copying the current note as a link that you can paste into another note. Zettlekasten Titel is great for putting the timestamp ID at the start of the note, as a header, and with a prompt to add an title after the ID. Zettlekasten ID just pastes the ID. Unfortunately, it's buggy and always provides an incorrect date and format. @ctietze Thanks. I was asking about creating a note ID. On my mac, I let Sublime ZK make the ID. If I didn't have that, I'd use aText or Text Expander (I don't use this). On iOS, it sounds like Drafts can make zettel IDs? Right now, I could make zettels in Editorial, which can make snippets, and then send to 1writer. A bit convoluted I suppose but better than nothing. There is TextExpander for iOS but I'm willing to pay a subscription just to make note IDs. @achamess I'm still using the non-subscription version of Drafts. The way I approach this is by letting Drafts save the actual file with the ID in the file name instead of sending the contents to 1Writer. Maybe Editorial can do this, too. If you figure that out, please share the snippet or whatever in a separate discussion on the forums, too, so folk can link to the discussion for reference! You can also generate a Zettelkasten ID using workflow/shortcuts. With iOS 12, you can then add to Siri with a voice command. So in any given editor of your choice you can generate an ID with your voice. @NiranS I have never experimented with that. Is there a format you could share this in? That's pretty awesome! Thanks for sharing. To add the shortcut to Siri, just tap the circled area. ZK reader Mark pointed out 1Writer got an update yesterday. Without any bells and whistles, [[Wiki Links]] now are supported.